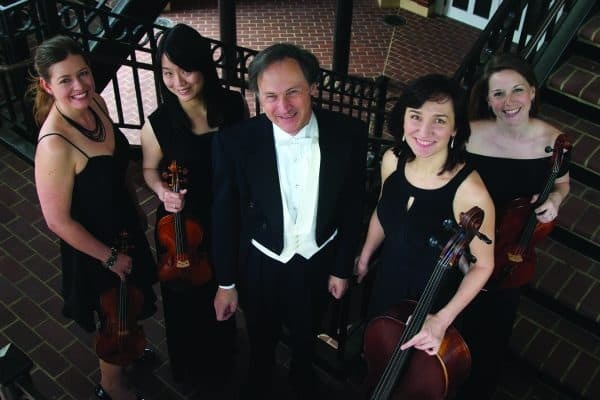 The Marlbrook Chamber Ensemble presents “A Classical and Romantic Afternoon,” a concert of works by Mozart and Brahms, at 3 p.m. on Oct. 29 in Wilson Concert Hall at Washington and Lee University. The concert is free and open to the public. 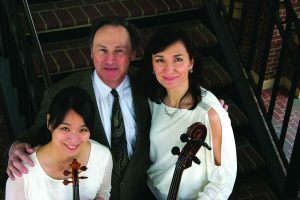 The group consists of Jaime McArdle on the violin; Julia Goudimova on cello; Timothy Gaylard on the piano; and two guest musicians, including violinist Ting-Ting Yen and violist Katherine Overfield-Zook, all of whom are or were on the music faculty at W&L. “We are excited for members of the community to come and hear the contrasting styles of Mozart, the most classical of all classical composers from the 18th century, counterpoised with Brahms, the romantic classicist of the 19th century,” said Gaylard. For more information, visit wlu.edu/lenfest-center or call the Lenfest Center Box Office at (540)-458-8000.